On the way to work today, on the bus, thinking about what I was going to write about in this blog, I looked up for a moment from my phone to see almost everyone else looking down absorbed with their iPhones, iPads or similar devices. Apart from one gentleman that is, he was reading a newspaper the old fashioned way! What was everyone doing? I assumed they were checking emails, seeing what family and friends had got up to at the weekend, planning holidays or like me, working. Up until about a year ago I would have been scribbling in a notebook, however, I now have a ‘tablet’ (poor man’s iPad?) and a Blackberry (smartphone!). It was a bit of a struggle at first getting to grips with them, but once I learned the basics they’ve made working on public transport so much easier. The rapid growth of technology is changing so much of what we do and how we do it. We shop and bank on line, search for information and read books and newspapers using electronics and the web. With automatic bank transfers we don’t even have to queue for our pensions anymore (there is a downside to this of course). • iPod or mp3 player? • Digital camera or TV? • iPhone or other mobile phone? Given this proliferation in technology, it’ll come as no surprise then to find out that many of us are now using the internet to search for information about our health. In 2013, 43% of adults in Great Britain carried out health related searches on the internet. We are not just looking up symptoms either, we’re also exploring treatments and medicines as well. This can help us to take more responsibility for our health and to make more informed decisions about what to do next, i.e. to self-care or to go and see the GP, for example. Using the internet can save time and possibly a trip to the GP, but it is important to remember that some websites may contain unreliable information. For example, I’ve just googled ‘depression’ (I am a mental health nurse after all) and the search threw up 186 million results (in 0.13 of a second!). How do you narrow this down to those websites that offer health information that can be trusted? In Scotland we have NHS Inform. NHS Inform is funded by the Scottish Government and is part of NHS 24. Receiving around 30,000 contacts a month (online and over the telephone), it offers a wide range of trusted and quality assured health information that is kept up to date. For example, have a look at the information it offers about depression. Having checked out depression, you may want to find out about more your mood and what help there is available, in which case I would recommend that you visit the Breathing Space website. For those of you who don’t know, Breathing Space is a free, confidential (and anonymous) telephone service for anyone suffering low mood or depression or who just needs someone to talk to about their worries. 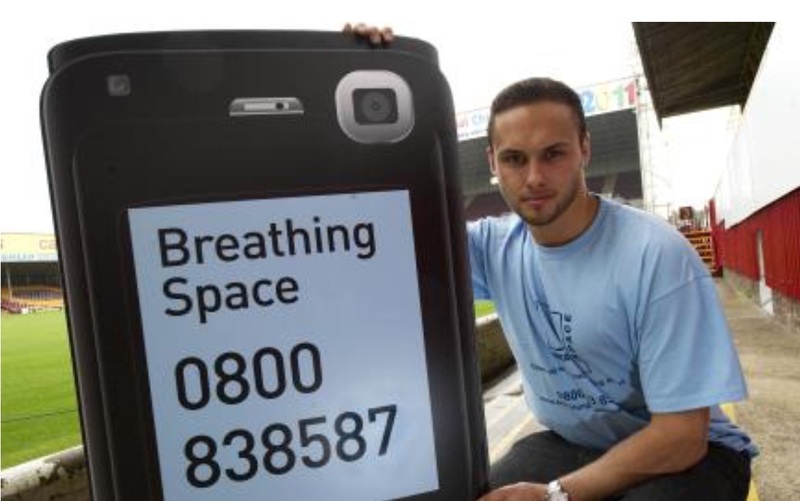 Breathing Space, NHS 24 and NHS Inform can be contacted over any phone but so much more is available with smartphones and other mobile devices. This has been made possible by the growth in the popularity of health related apps. Of course, not everyone has access to a smartphone or the internet; however, you can access NHS 24, Breathing Space, NHS Inform, and Care Information Scotland through your TV. The Digital TV Health channel went live in 2011 and can be accessed using Sky, Freesat for Sky (both on channel 539) and Virgin (channel 233 or the interactive channel). Technology is changing our lives and how we interact with the world at an alarming rate. How tech savvy are you? If it’s a matter of ‘can’t surf, won’t surf’ (the internet! ), think about what you are missing out on? There is a wide, interconnected world of information out there that has the potential to make a difference to your health and wellbeing. So if you haven’t already, why not follow some of the web links above? If it is a matter of confidence and lack of experience with computers or the internet, get in touch with your local library and find out how they can help you get connected. This entry was posted in Uncategorized and tagged app, health, healthcare, iPad, iPhone, NHS, smartphone, social media, tablet, technology. Bookmark the permalink. I enjoyed reading this Ron and it made me think about how life is changing in this rapidly expanding technological age. I did however laugh at the idea that it has made working on public transport so much easier for you, God forbid!! :)) On a more serious note however, thinking of perceived greater conectedness, I find my mind wandering to one of the gretest threats to humankind that we have seen in this country for centuries i. e. loneliness. A strange contradiction indeed…..